The CZ 75 Kadet conversion kit is a separate accessory for the CZ 75/85 pistol series allowing the firing of .22 LR caliber cartridges. The CZ 75 fitted with the Kadet .22LR conversion is the perfect training or plinking pistol with the slide weighted and balanced just like the CZ 75. Like its centerfire counterpart the CZ 75 Kadet is an all steel model complete with adjustable sights. Includes 2 10 rd magazines that fit flush with grips of the full size CZ 75 and SP-01 models. 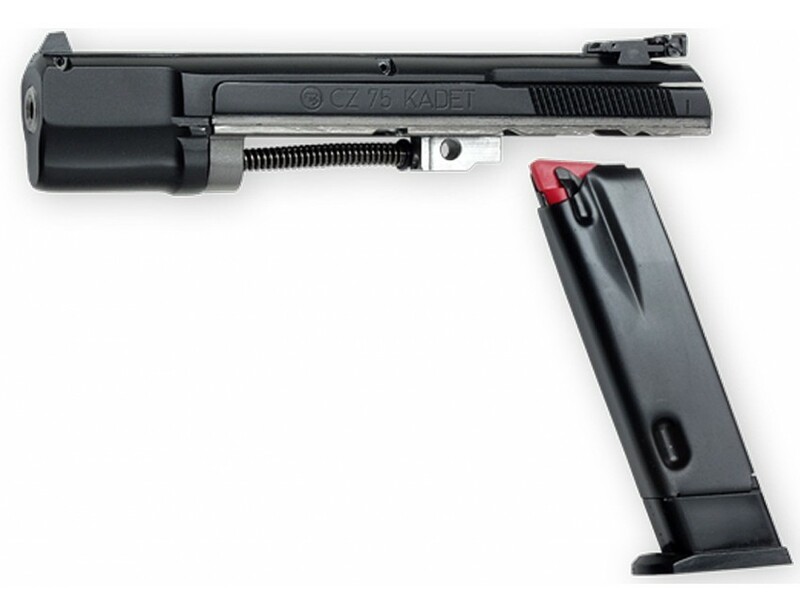 The Kadet conversion kit will work on the CZ 75 compact models including the P-01, P-06, PCR, and RAMI, but note that the full size magazines will extend below the bottom of the compact grips of these models. The Kadet conversion will not work on the 97, 75 TS, or P-07 Duty models.